This Post has already been read 1272 times. After the successful launch in London few weeks ago, now Huawei launched its all new flagship smart phone, Huawei P9, at an overwhelming event, held in Dubai. 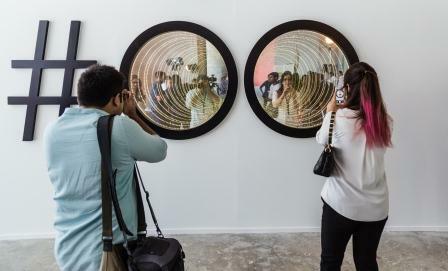 The glamorous event was attended by heart throb celebrities, famous media personalities, glittering fashion icons and technology world stockholders. In the previous launching ceremony of Huawei P9 in London a few Pakistani celebrities joined Mr. Fraz Malik Khan, Marketing head for Huawei. And the same was the case for the ceremony at Dubai, where a number of renowned personalities from media and technology world witnessed the Huawei P9 launch last night. 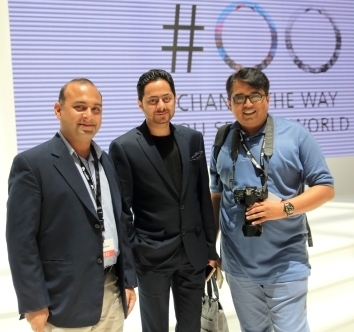 Mr. Aamir Atta of ProPakistani, a renowned Technology blogger, was the part of the media convoy joined the Huawei P9 launch event in Dubai. However, among the others were Muddasir Jahangir –Editor of More Magazine, Muhammed Ahmed Siddiqui from E Buzz, Bilal Mehmood of daily Nawa-i-Waqat and Mr. Tausif from Daily Dunya. Huawei has a tradition to keep the media engage from different regions and countries across the world, giving them utmost importance while ensuring their presence at the prestigious events like the launching ceremonies of its high technology smart phones. The P9 launching ceremony was also honored with the presence of IT business icons and stakeholders. But most importantly GM for Huawei Device in Pakistan –Mr. Shawn beside Marketing Head of Huawei devices and terminal department, Pakistan & Afghanistan –Mr. Fraz Khan Malik were at the event to complement the ceremony. The event was further progressed with a product presentation, highlighting the spectacular achievements of Huawei in the smart phone technology and the way Mate 8 has set new levels of technology perceptions in the market. The main highlights of the presentation were the “Dual Camera” that is co-created in collaboration with a famous brand Lieca, High-end Technology and the best smart phone features of Huawei P9. The modern technological wonder has glorified the tech world and opened new dimensions. Huawei has a dual camera at the rear side powered with 12 MP, f/2.2, 27 mm, Leica optics, phase detection autofocus, dual-LED (dual tone) flash lights. This is the real time professional camera, in fact. One camera out of these two does the traditional camera stuff like taking color pictures as it has RBG sensor. Meanwhile the other one is a monochromatic camera and it is there for taking pictures in black & white and combined together, they’re obtaining a better contrast. Interesting to note is the fact that the monochromatic cameras are highly accurate while capturing the details of a picture or object and that is why Huawei chose to build a dual camera with this amazing combination making professional photography a real deal. Huawei P9 cannot be a smart phone, but it’s a dual product. It is a smart phone with unmatched and superior quality features, and simultaneously Huawei P9 is a complete professional camera. Huawei P9 also indicates something below the flash, but this has not yet been described and the Huawei brand followers will soon know all the specifications after getting their most awaited smart phone after the Dubai P9 launching ceremony. It is pertinent to note that Huawei P9 so far has been reported to come with almost four different versions and that raised the excitement and the curiosity among the Pakistani brand lovers of Huawei regarding the expected launch event here in Pakistan as well.